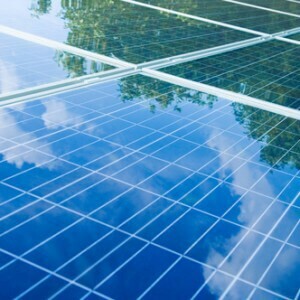 The adoption rate of solar panels has increased dramatically since the feed-in tariffs introduced in April 2010. 260MW of power generated, with 48,460 separate installations across the UK. This revelation has been confirmed by the Department of Energy and Climate, from data obtained through the Freedom of Information Act. Scotland had held the title of the most significant solar panel adopter in 2008/9 despite its renowned reputation for gloomy weather and its geographical location, which hopefully shows, once and for all, that solar technology does work well in our climate, even in the north. Scotland is now in 3rd position for highest numbers of PV solar panels adopters, including both domestic and commercial installations in the United Kingdom (except the Republic of Ireland). Of the 20 local authorities that have installed solar technologies, 9 are in the north of England with the top 3 places taken up by Yorkshire, in the towns of Rotherham, Barnsley and Sheffield, with Leeds in fifth place. The growth of installations has increased by 450% in the last two years and is expected to continue at an even higher rate with the long-awaited Renewable Heat Incentive scheme for solar heating panels and evacuated tubes rolled out this coming April. The old myths about solar panels have now been busted. Solar electric pioneers will receive 15.44 pence per kWh generated over a 25 year period. Solar heating pioneers will receive 8.5 pence per kWh generated over a 20 year period. Both incentives pay you, even if you use the energy for your own home -therefore making it an index-linked and tax-free income. Those energy savvy northerners have now answered the question about solar panels in our climate. Solar panels can now become an everyday technology, as familiar as satellite dishes; however, don’t leave it too long before buying your installation. As the overwhelming demand for the feed-in tariffs will bring the rate down again sooner rather than later. Welcome to the solar panel century.